Insulation is measured by R value (resistance to heat flow). The higher the R value the more comfortable your home will be and the more energy you will save. 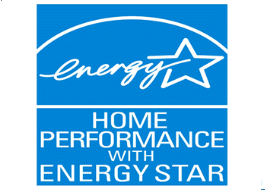 Proper insulation is one of the best energy investments for your home. As much as 42% of your home’s energy loss is through the attic. This makes your heat and air conditioning unit work harder to maintain a comfortable temperature in your home. Having a home that’s been well insulated and sealed can save most homeowners as much as 20% on their heating and cooling costs. 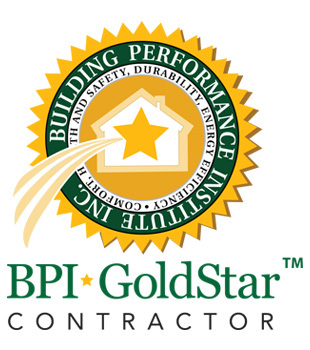 If your ready to save money and be more comfortable, we can help provide input on the best type of insulation for your home energy savings and budget. 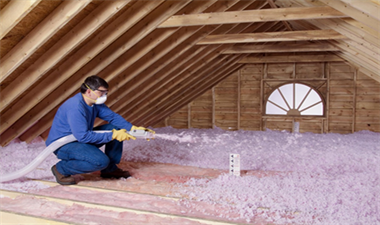 Fiberglass blown insulation has the benefit over rolled insulation since it does not leave gaps in which heat or cool can escape. This provides an uninterrupted blanket for your home. A few years ago, 6” of insulation was considered to be adequate, but in our climate zone R38 (14” of attic insulation) is recommended. Significant benefit can be achieved by foaming knee walls. A knee wall is any wall where one side of a wall is an interior wall and the other side of the wall is attic, like a vaulted ceiling. The interior wall can reach temperatures close to 130 degrees on very hot summer days. Foaming these knee walls provides the kind of resistance to heat that can significantly improve the comfort and efficiency of your home. It also provides air infiltration sealing. 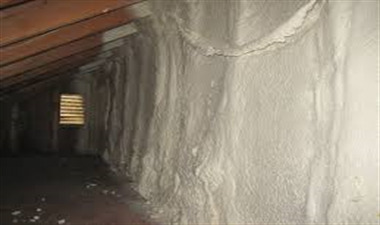 Open cell foam is also very effective where there are dropped ceilings that have similar energy issues as knee walls. It is becoming increasingly popular to foam the roof line. While this can be very effective, a professional needs to give guidance as this can be very expensive on retrofit homes and can introduce moisture issues and safety concerns if not done properly. Foaming the perimeter of a crawl space or the floor can significantly improve the comfort and efficiency of your home. 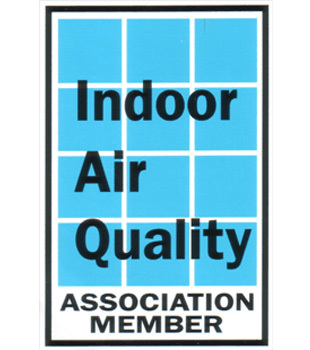 This effectively reduces dust, pollutants, and moisture from entering the home while creating an area of “conditioned space” under the house. This make the floors more comfortable for bare feet and can keep pipes from freezing under the house in the winter. Exterior walls can have insulation added on retrofit homes by drilling holes along the interior of the wall and blowing fiberglass insulation into the holes under pressure. What is a knee wall anyway?! Think about having an interior wall in your home and the other side of that wall is a HOT attic that can reach 130 degrees in the summer. Frequently we find these by vaulted ceilings or walk in attics. The only thing separating you from all that heat is drywall and ineffective insulation. Most knee walls have batt insulation on the attic wall. Batt insulation was meant to function in a closed sided box like an exterior wall. Applied to a knee wall, it's like having only 2" of insulation separating you and your loved ones from that sweltering 130 degrees! There are several solutions, but one of the most effective, is foaming that knee wall with about 5.5" of open cell foam. This can make a major difference in the comfort level of a room! Blown insulation needs to be installed by the bag count. Fiberglass blown insulation will settle. Make sure you are getting the R value of the insulation that you are paying for. Poorly trained contractors can blow too much air into the insulation causing it to "fluff" and when it settles, you have not gotten the R value (resistance to heat) you paid for.